Another awesome long weekend with big breeze funnelling down the Columbia River Gorge! All the 9 rigs stayed rolled tight inside their bags and the fleet had fun in 7s and 5s! 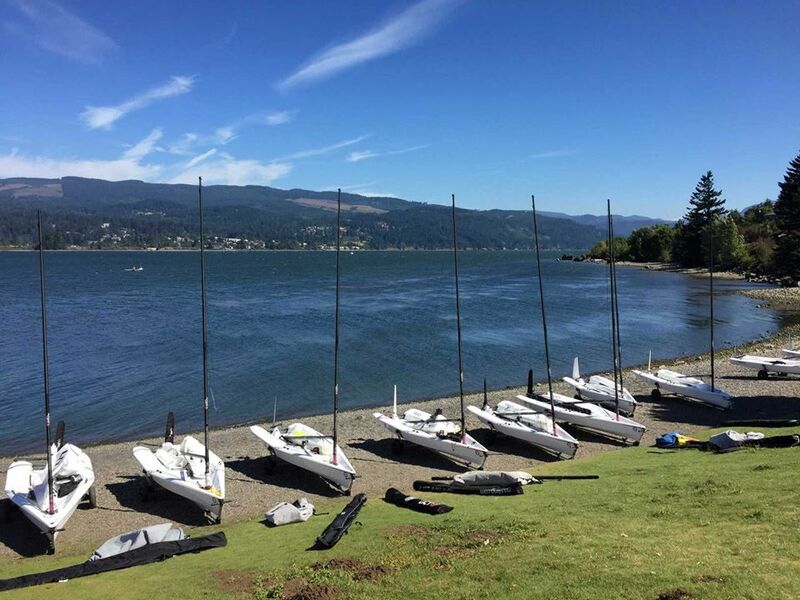 Pacific Coast Champs are done and it was the best regatta for us in the Aero yet. 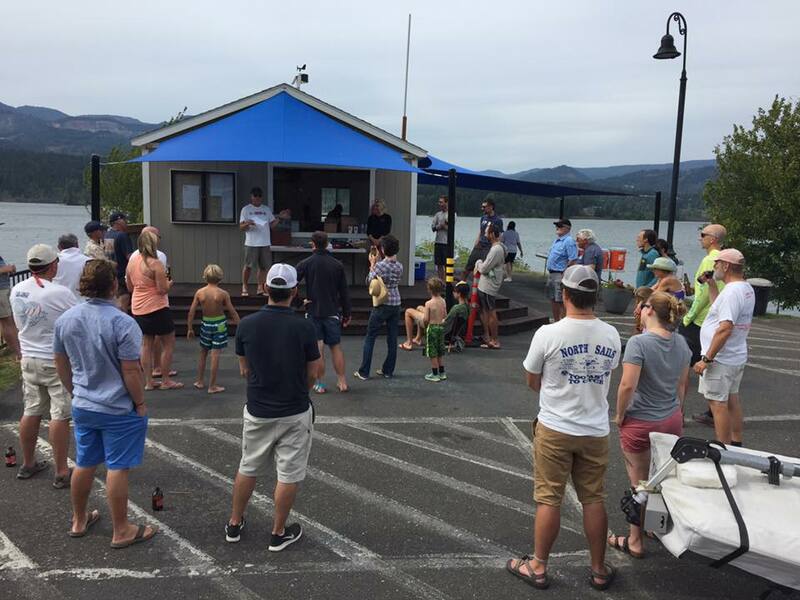 Very close racing, big improvements from everyone and classic Cascade Locks, Columbia Gorge Racing Association, sailing conditions of windy, sunny with warm air and water. Dan came back from behind in the last two races to win. Jay was second, local Gorge resident Andy Mack 3rd. John (Jays son) 4th, very impressive for someone tipping the scales at 155Lbs or 70Kg. I held on for 5th. We saw a lot of new guys in the boat with good results later in the event as they started to get gybes off in 20-30 knots. Lots of boat to boat racing all weekend for everyone. Fantastic debriefs after sailing really helped close the gaps. 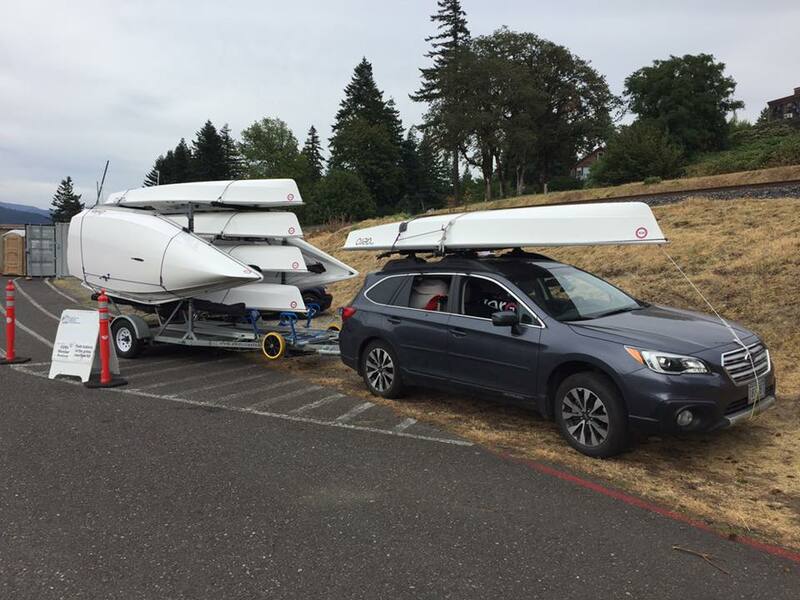 Thanks to West Coat Sailing for bringing up the Charter Trailer.